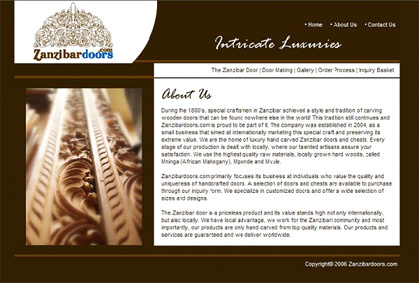 Zanzibardoors are Tanzania based wooden door manufacturers and suppliers. Client application is developed in Joomla, a widely used content management system. Application is having a mini shopping cart. The special feature of the application is that it is copy protected. On Internet Explorer 6.0 and 7.0, it does not allow to copy & paste any contents of the site. It blocks copy and paste functionality.